Recently arrived we have a good supply of Weinmann SEC16 double wall rims (black with CNC machined braking surface), Novatec sealed bearing high flange anodised coloured hubs and Stainless MACH 1 spokes (silver or black). What are we doing with all of this high quality gear? Good question, but the answer is even better! We're hand building some excellent and very stylish fixie wheels. So if you want to add a bit of high end styling to your fixie or single speed bike these new handbuilt fixie wheels are an excellent start. 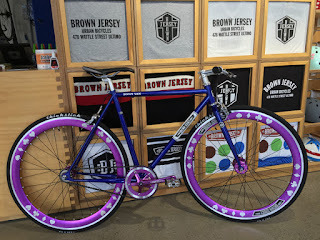 A great addition to any Brown Jersey or Cinelli fixie bikes (or any other single speed bike for that matter). The rear hub is a flip-flop hub - meaning that you can ride fixed gear one side or flip the wheel over and have a freewheel on the other side. The NEW Brown Jersey CHARLIE 3 Speed is available now. 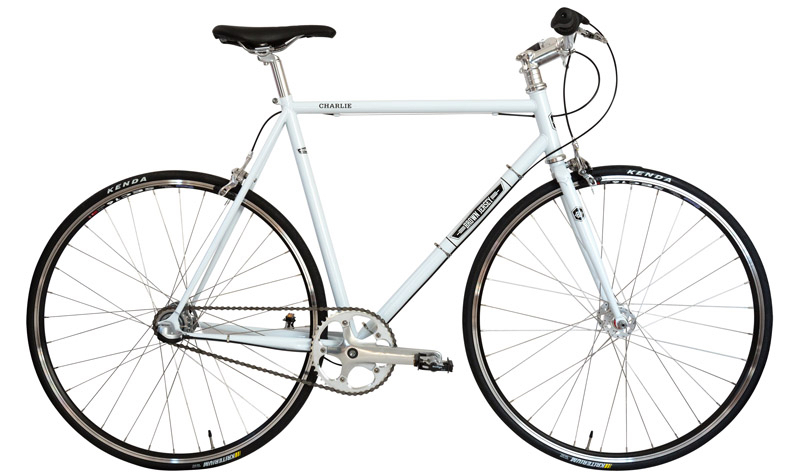 Just $695 gets you a great urban bike to mash around the streets in speed, style and comfort. Brown Jersey has long been known for it's excellent internal gear hub bikes - built to look like the ultra cool fixes but with gears. 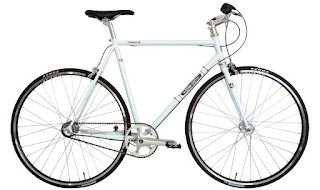 The new CHARLIE 3 speed bike is possibly the best of this genre to date. It utilises the Shimano NEXUS 3 Speed Internal gear hub built out with stainless spokes and lovely SEC16 Weinmann rims (black). The frame is the heart of any bike - this brown jersey frame is fabricated from high quality 4130 CrMo tubing with forged track ends, forged for tips, forged seatpost clamp and our signature forged sloping fork crown. 5 frames sizes ensure a perfect fitting bike regardless of rider size.